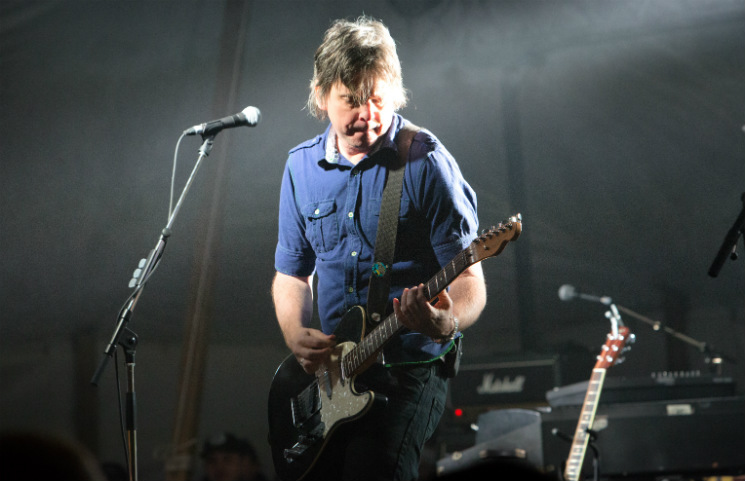 '90s nostalgia overtook Bissell Park as 54-40 stepped on stage. It only took a few songs for the audience to forget about the cold, and Neil Osborne immediately captured the audience's attention with a confident (and kind of sassy) attitude that took the atmosphere of the room back in time. The band played all their hits from 1986 to the 2000s. 1994's "Ocean Pearl" and 1987's "One Gun" were welcomed crowd-pleasers, while Osborne got the crowd clapping and shouting "hey!" in the midst of the band's performance of "She-La." Even those who weren't diehard 54-40 fans knew the lyrics to "Casual Viewin,'" whether it was from hearing it on the radio or their parents' stereo. The band also played their 1986 single "Baby Ran," Dear Dear's "Nice To Luv You," and Trusted By Millions' "Lies to Me." After shouts for an encore, the band returned to satisfy the crowd with two iconic songs: the 1986 classic hit "I Go Blind" and the '90s hit "Love You All." Overall, 54-40 made for a friendly closing to a day of snow, beer and great music.